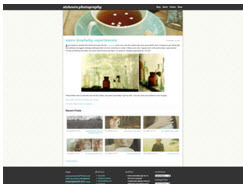 Thetalkingfowl is a minimal HTML5 wordpress theme. 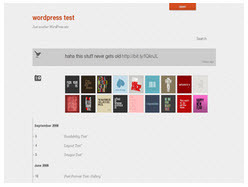 It integrates the HTML5 Boilerplate and the 960 grid css framework. 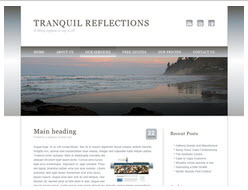 Tranquil Reflections is a free wordpress basic theme. Lazy Sunday is a free wordpress theme for artists and photographers.It supports WordPress post thumbnails, custom header and background functions, custom drop-down menus and a widgetized footer. 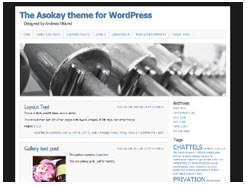 Asokay is a free wordpress theme with a classic 2-column layout.The theme is built from the Toolbox theme by Automattic and using HTML5 and CSS3. 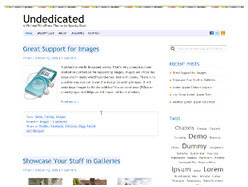 Undedicated is a free minimal WordPress theme with custom header and background. Adsense-ready, Threaded comments , customizable with theme options. 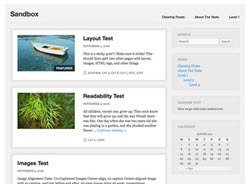 Foghorn is a free minimalist wordpress theme built from Twenty Eleven theme.